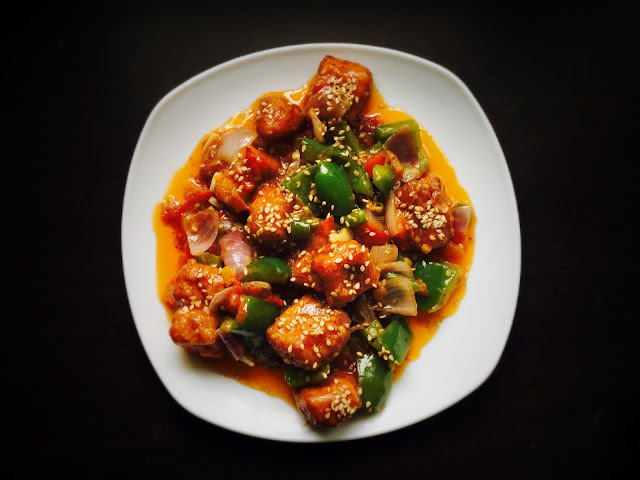 Chilli paneer recipe with step by step photos. Chilli paneer is a famous spicy Indo-Chinese starter. Few people like semi gravy version of chilli paneer while others like the dry version. 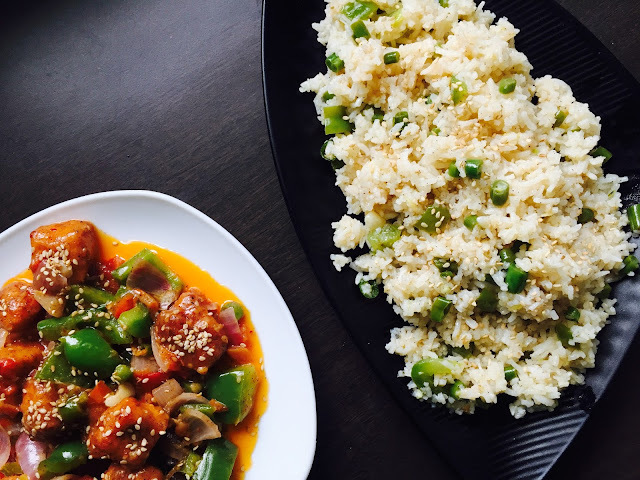 In this recipe, I have shared both the variations of chilli paneer. My mumma's chilli paneer recipe is really famous! Chilli paneer is a must in the menu whenever any of my cousin is coming to our place. 😁 So yeah this is my mumma's recipe. Do try this recipe at home and share your feedback. 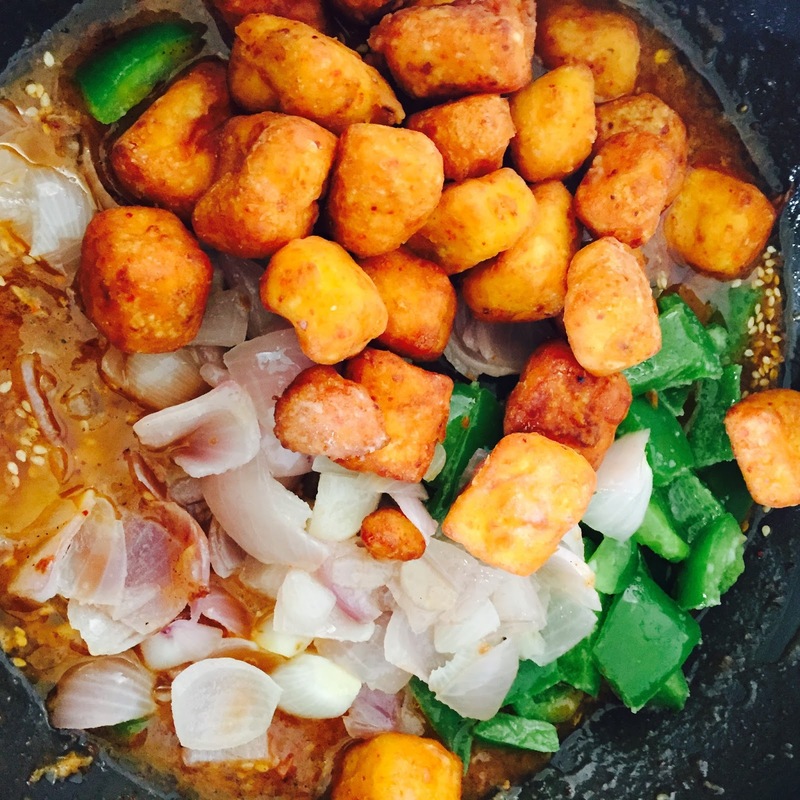 For making this restaurant style chilli paneer, we need to deep fry paneer coated with cornflour and several sauces. After this we need to coat these paneer cubes with nice Indo-Chinese style gravy. Add Paneer, tomato ketchup, chilli sauce, vinegar, red chilli powder. Close the box and shake it well. All the paneer cubes will get the even coating of sauces. Add cornflour and maida. Close the box and shake it again. This time all the paneer cubes will be coated with cornflour and maida mixture. If it is coated evenly then paneer cubes won't stick to each other and there will be some extra mixture left. If not, then add more cornflour and maida. Now paneer is ready for deep frying. 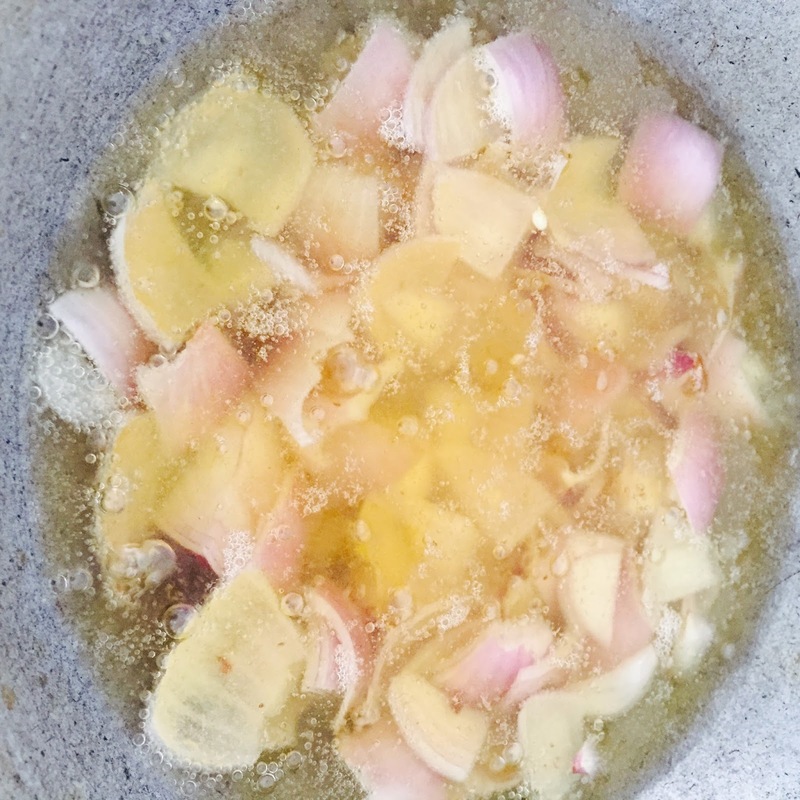 Heat oil in a kadhai and meanwhile cut capsicum and onions. Capsicum and onions should be diced. 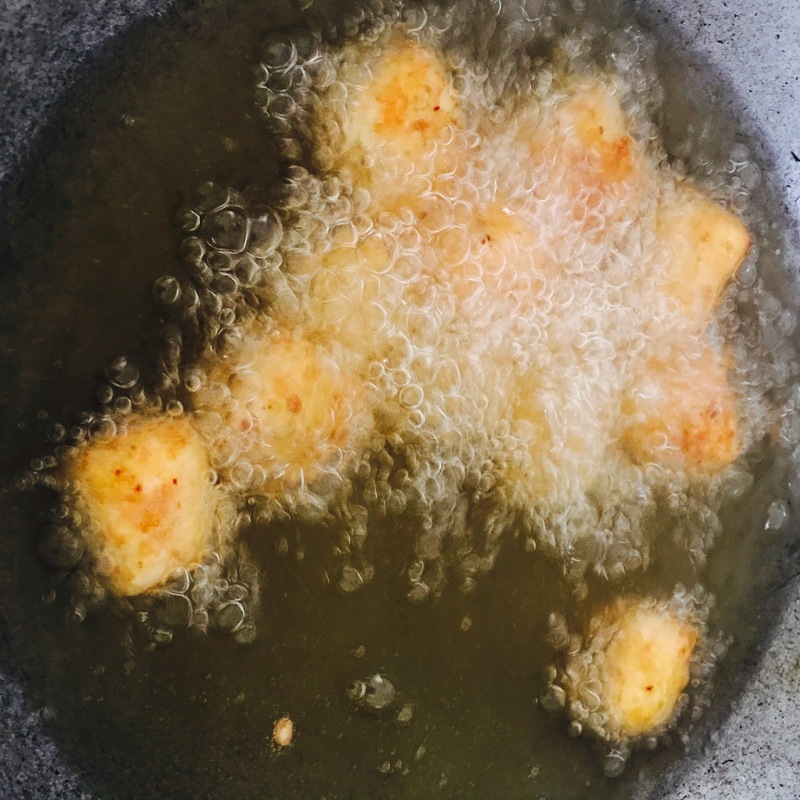 Once the oil is hot, deep fry paneer until golden brown. After paneer deep fry onions and capsicum as well. Be really quick while deep frying onions and capsicums. They should not lose their colour. 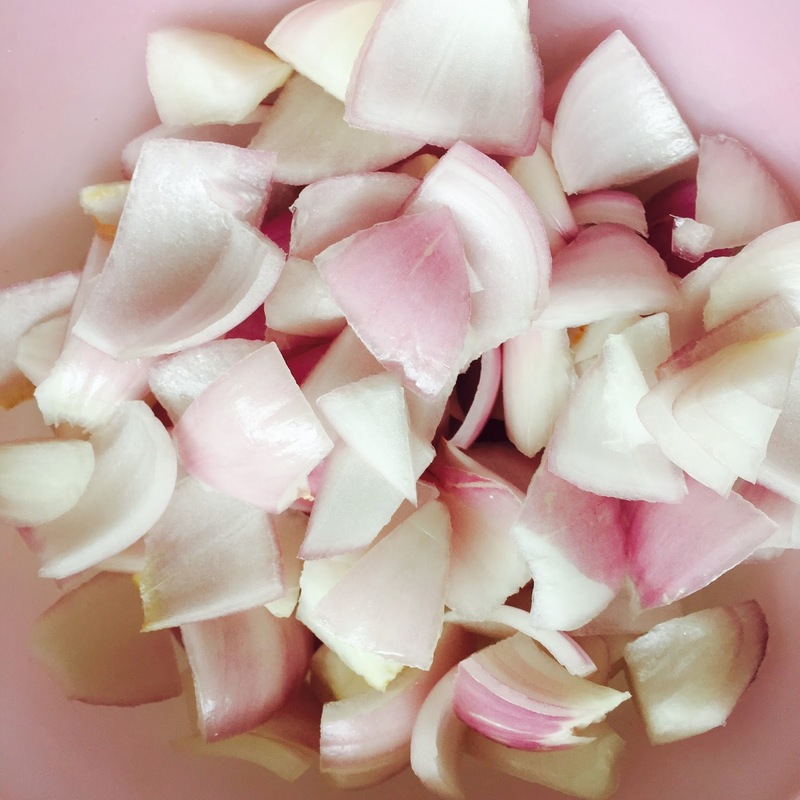 It will hardly take 3-4 seconds for onion and 5-6 seconds for capsicum. Keep these deep fried things aside on an absorbent paper. 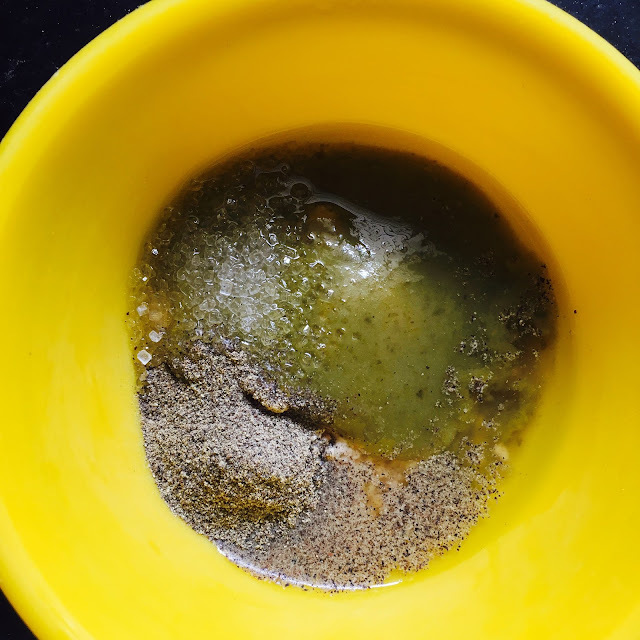 Now take the mixture that was left after coating paneer cubes. Add chilli sauce, tomato sauce, pepper, vinegar and mix it well. Keep it aside. Heat about 1 tbsp oil in a pan. Add grated ginger, chopped garlic and green chillies. Saute it for about a minute. 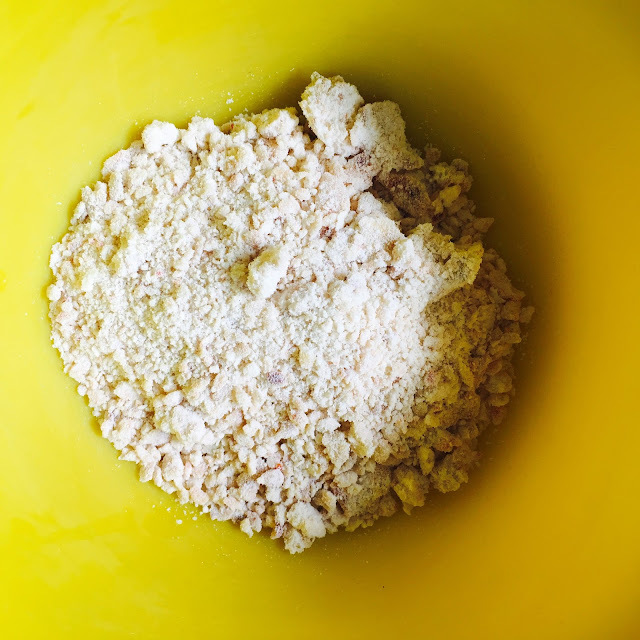 When it becomes mushy, add the mixture prepared in step 8. Consistency will become thicker. If you want to have a little gravy then add some more water. Otherwise, let it become thick. Add deep fried paneer, onions and capsicum. Mix everything well on high flame. Cook for about a minute! Chilli paneer is ready! Garnish it with spring onions or sesame seeds or both! Serve it with fried rice. 1. 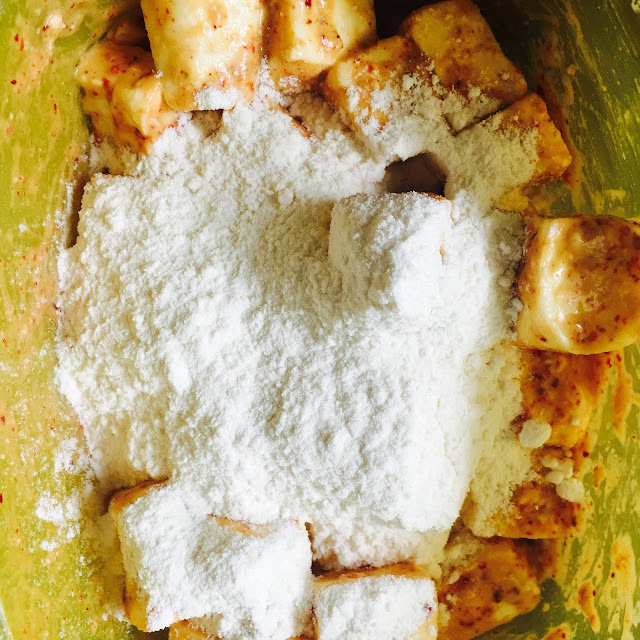 Add Paneer cubes, chilli sauce, tomato sauce, salt, red chilli powder, pepper powder in a box. Close the box and shake it well. 2. Paneer is coated with the sauces, pepper and chilli. Now add cornflour and maida. Cover it and shake it well again. 3. 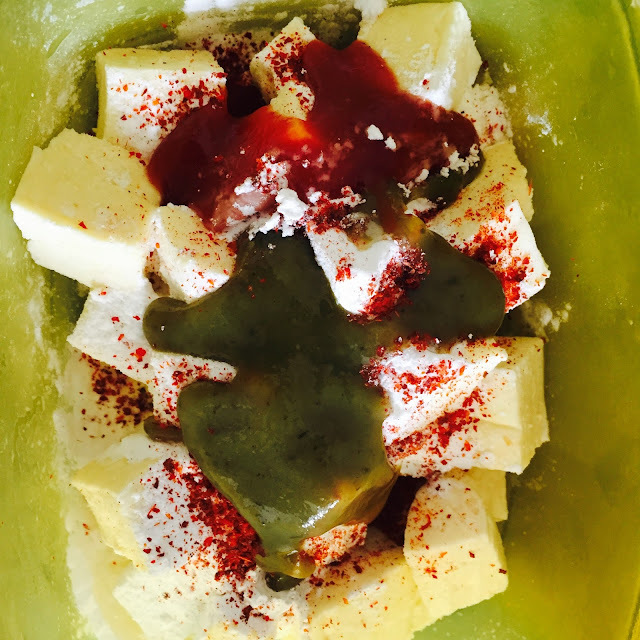 Paneer should be properly covered with the cornflour and maida mixture. If not, then add more cornflour and maida until properly coated. 5. 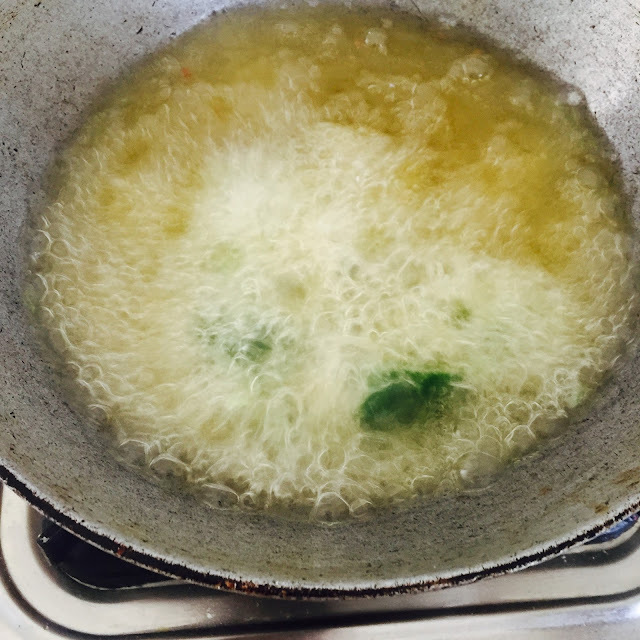 Now deep fry paneer. 6. 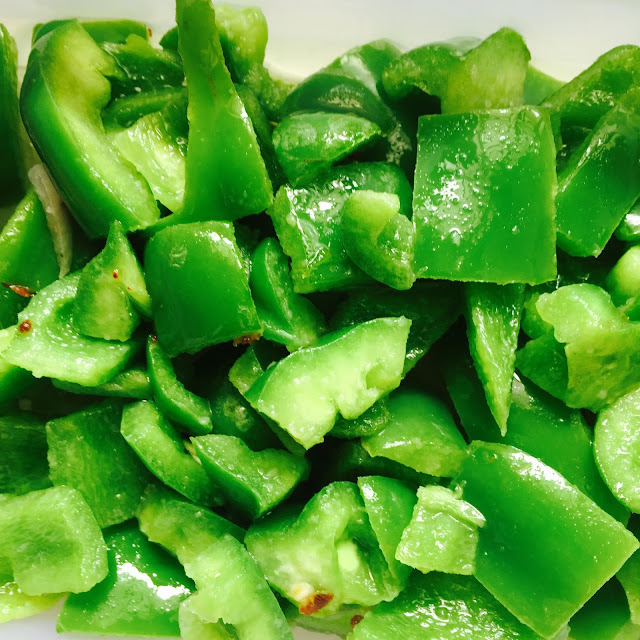 Deep fry capsicum very quickly. 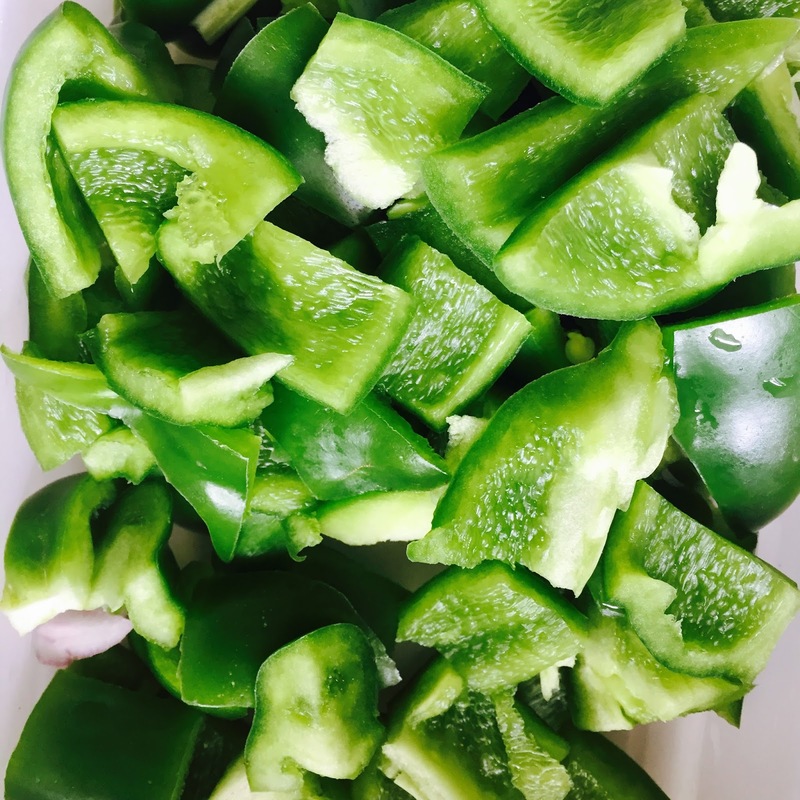 Capsicum should not change its colour. It will take hardly 4-5 second. 7. Deep fry onion as well. This will take 2-3 seconds. Be very quick while deep frying onions and capsicum. 8. This is how onion should look like after deep frying. 9. 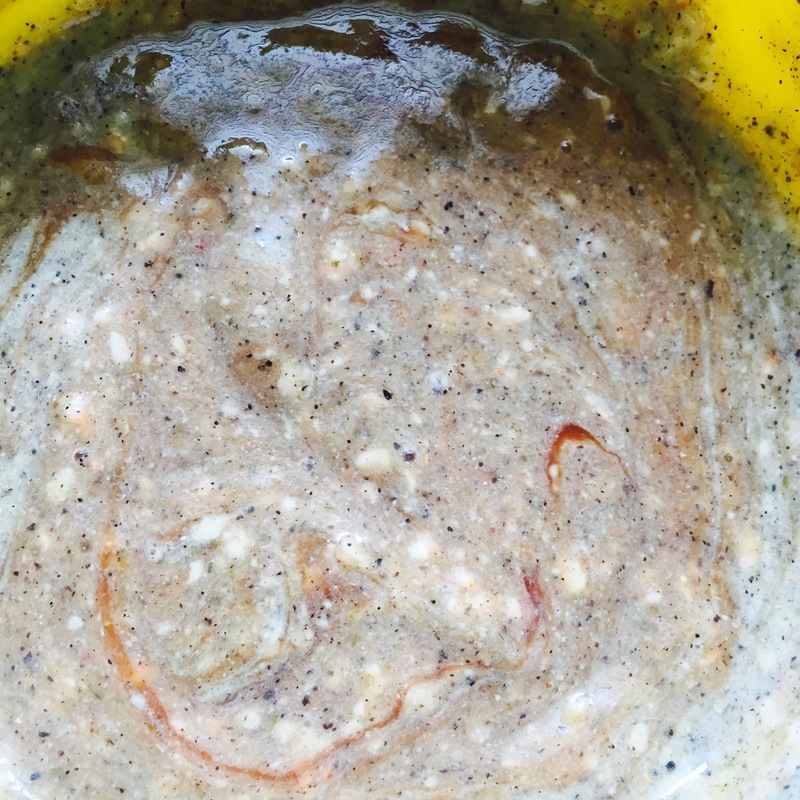 Save the cornflour, maida and sauces mixture left. 10. 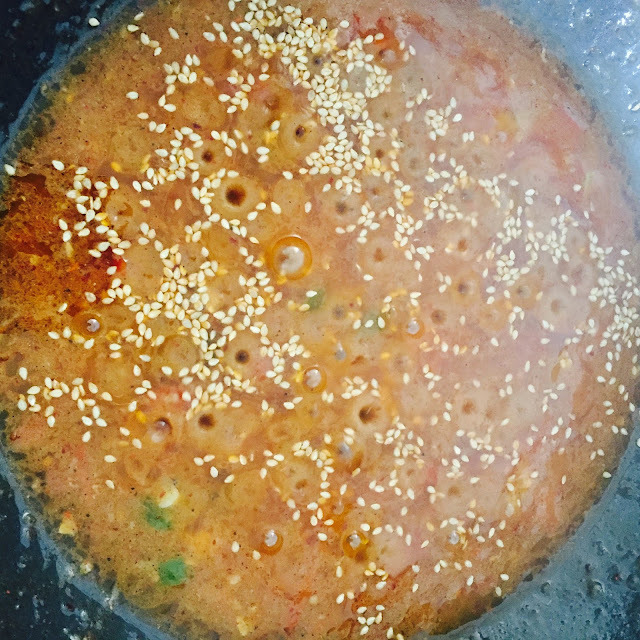 Mix Pepper, more chilli sauce, vinegar, soya sauce and tomato sauce. Added more sauces, pepper and vinegar. 11. Mix everything well. There shouldn't be any lumps. Now, keep this mixture aside. 12. 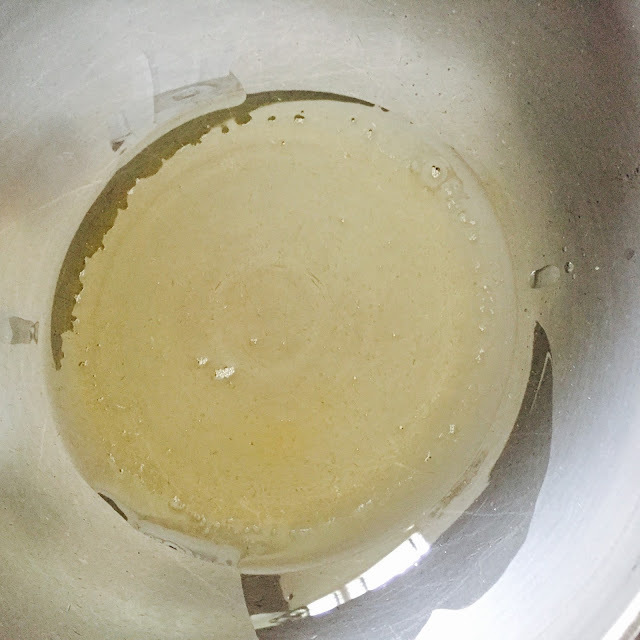 Heat 2 tbsp oil in a pan. 13. 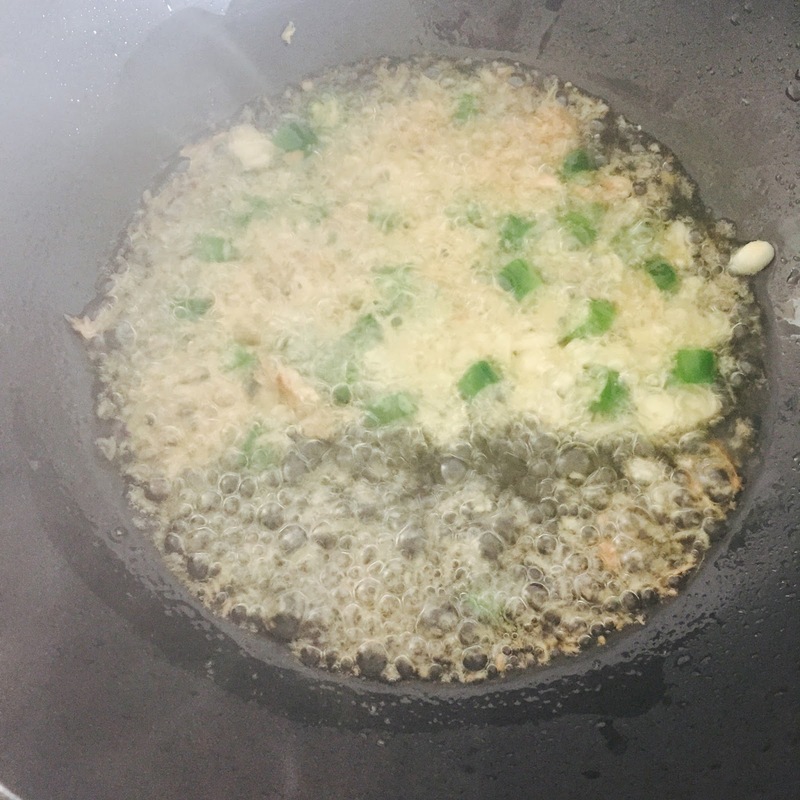 Add green chillies, grated ginger and finely chopped garlic. Saute it for a minute oh high flame. 14. 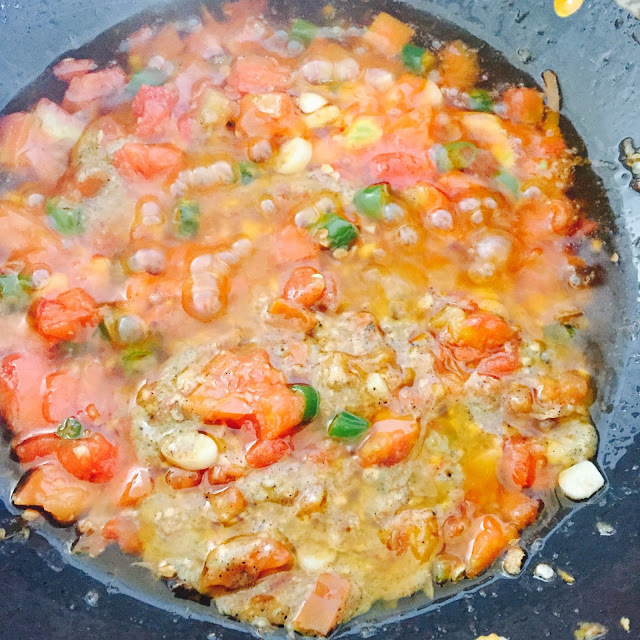 Add chopped tomatoes. You can skip this if you want to make it really dry. 15. Add the mixture that we have prepared in step 11. Mix everything well. You will notice that consistency is becoming thicker. Add some water if you want a little gravy. 17. 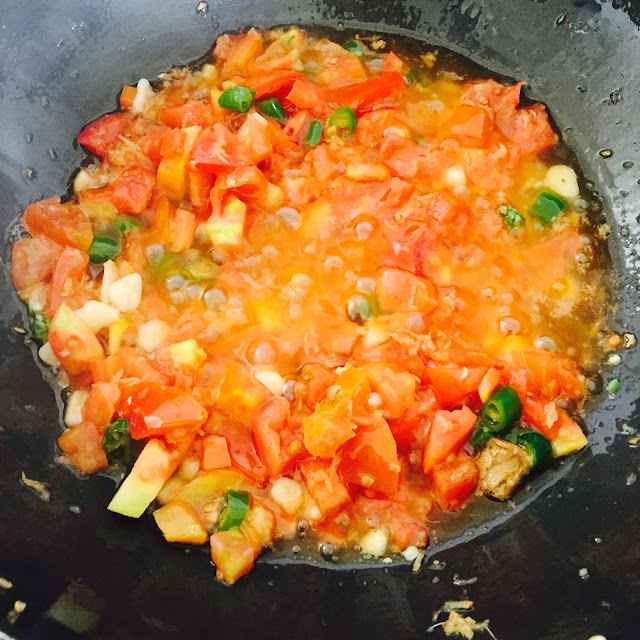 Add deep fried paneer, capsicum and onions. 18. Mix it well and cook on high flame for about a minute. Chilli paneer is ready! Sprinkle some chopped spring onions and sesame seeds to garnish. You can sprinkle some spring onions before serving. If you don't like thick coating on the paneer cubes then reduce the quantity of maida and cornflour while coating. You can also use a pinch of Ajinomoto.